Monday is Moon day (Lunes in Spanish.) Monday is named after the Moon in many languages. Monday is the day of St. Gabriel. Gabriel means "Man of God" or "Might of God" He is the herald of the mysteries of God, especially the Incarnation of God and all other mysteries related to it. He is depicted as follows: In his right hand, he holds a lantern with a lighted taper inside, and in his left hand, a mirror of green jasper. The mirror signifies the wisdom of God as a hidden mystery. The moon is a mirror of the sun's light. The usual number of archangels given is at least seven, who are the focal angels. The name Israel means "God rules," or "God shines." The name 'Israel' incorporates three gods/goddesses. Isis (wife of Horus), Ra (the sun-god of Heliopolis in ancient Egypt. ), and El is the Northwest Semitic word for "deity", cognate to Arabic ilah and Akkadian ilum. In the Canaanite religion, or Levantine religion as a whole, Eli or Il was the supreme God, the father of humankind and all creatures and the husband of the Goddess Asherah as recorded in the tablets of Ugarit. Saturday is Saturn's day. The ancient name of Saturn was El. the word Bab-El means "Gate of God." The word elite (3l337 as we h4x0rs spell it.) means persons of the highest class. El-ite comes from the "Isra-El-ites." The suffix -ite means native or resident of. So then this must mean Elite can also mean Native or Resident of God. Israel put together is the Holy Trinity. (Isis, the mother; Ra, the son; and El, Father of all Gods.) Therefore the Elite (short for Israelite) are the natives of God. This does not mean that only people born into Judaism are natives of God. This means that The Children of Israel is another way to say The Children of God. It means WE are the chosen people of God, the chosen people of ISRAEL (The Holy Trinity). And we are the Israelites, The Elite. We are Spiritual divine beings. "Luminous beings are we, not this crude matter." ~ Yoda. We are the only beings (The Human Race) on this planet, whom are able to grasp in our minds outer space, as well as explore it. Aren't we special? So now that we know Saturday is a day of rest and worship for The Jewish and Sunday is a day of rest and worship for Christians, what comes next? Many of you may have heard that the coming day December 21, 2012 is the end of the world. Holy scriptures do not exactly state when the end of the world will come to be. Matthew's Gospel, Chapter 24, Verse 36, in which Christ is quoted as saying: "But of that day and hour no one knows, not even the angels of heaven, nor the Son, but the Father only." So you see. The Holy scriptures do not exactly state when the world will end. No one knows, but God. The holy scriptures only write about the end of the aeon. The end of Pisces (Jesus), and the dawning of a new age (Aquarius.) The zodiac. It is all written in the stars up above. This goes much more in depth. I will keep writing about it in my future blog entries. Religion is like a code and big jigsaw puzzle, with subtle meanings. As history has shown us, the power of religion has been abused (and still is), and people are fighting in "holy" wars, and do not know the true reasons behind the wars. One day, if war persists among us Human beings, an explorer is going to arrive from outer space and take us as slaves just as Christopher Columbus and his crew did with the Native American people, and then wipe out mankind due to mankind's ignorance. This is no joke. The Native Americans had no idea about the Europeans. Why? Because they did not have the technology. Columbus and his crew had ships, weapons, and compasses. Why should we be afraid of UFOs? Shouldn't we, the people, start to build spaceships and rockets and explore space ourselves. The information that Columbus wanted most was: Where is the gold? The aim was clear: slaves and gold. So imagine this. We are the ignorant ones, and an explorer comes from space. We act nice and give them goodies. Being that their technology is so advanced, we cut ourselves out of ignorance. They see we are ignorant and take us as slaves. And all they are probably thinking, "Yeah, these humans are nice people, but business is business. We are going to have to take as many back with us to Planet X to work as slaves." Now wouldn't that be great? Here we are fighting each other, and now we have aliens taking us as slaves to Planet X. Reminds me of Planet of the Apes. Sure the Native Americans had spiritual practices, but if we do not do God's work (Work for the greater good of all of mankind) and keep fighting for materialistic and selfish gain, we are done. This is no joke. Either we stop the war, convert all of our armies into space camps, and start working as One World to see what's out there and explore, before it's too late. Below are more links and videos. Stay tuned for more blog entries coming soon. I have also added a discussion in the Philosophy section titled "Would life be if there was no moon?" I think this is an interesting topic. You may participate in this topic, and start new topics by joining The Rocket to Luna World Discussion Board. My next step is to write press releases to get the word out more about The Rocket to Luna homepage. Posted by Gregory Rzeczko @ 1:05 AM EST. Christian Feast Day, Mojoday, Saint Joseph's Day, The Kashubians' Unity Day, The first day of Quinquatria, held in honor of Minerva. 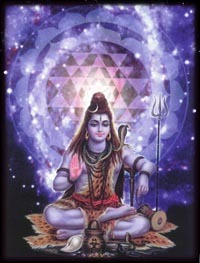 May this be heard, O great sages, I shall now recount the hymn of a thousand names of Shiva, whereby Shiva was pleased. Lord Shiva has 1,008 names, and a thousand faces. On the homepage, you may have noticed the number 108. It is a Sacred Number. There are 144,000 spots available and each cost $777 each. 144,000 multiplied by 777 equals 111,888,000, and this number is divisible by 108, as well as contains the numbers 1, 0, and 8. Can this number, 111,888,000 mean something? I see three numbers. When thinking of the numbers 0 and 1, binary code comes to my mind. So what then can 8 represent? 1 represents On and 0 represent Off. Can 8 represent Neutral? Distance between earth and moon = 108 times moon-diameter, and most remarkably, Diameter of the sun = 108 times the earth diameter. Can this be some sort of code? A divine morse code? 12.21.2012 - This date also has three numbers, 0, 1, and 2. Can this also be some sort of code? Maybe yes, or maybe not. That would have to mean that it can possibly be a Trinary code, that is, if this is a code. It could quite possibly not be any code at all and just a coincidence. What's even more amazing to me, is this: To my knowledge, a rocket takes approximately 2 days, 12 hours, 44 minutes, and 25.5 seconds to get to the moon. That means if the rocket was to launch at approximately 11:11 am UTC on December 21, 2012. The moon lander would arrive onto the moon a little over 4 minutes before midnight of Christmas Eve! Wow. During the entire winter solstice of 2012. Chance or coincidence? From time to time in The Rocket to Luna blog entry, I will be posting videos and links in regards to spirituality, the cosmos, war, the world and more. Below are a few links and videos. I will now also be adding The Rocket to Luna banner on websites, such as the one below. If you would like, you are free to do so as well. King Tut (Tutankhamun) - The King Returns (NYC)! Two days ago was St. Patrick's Day! 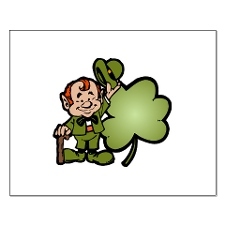 Happy Belated St. Patrick Day! Posted by Gregory Rzeczko @ 12:20 AM EST. Ladies and Gentlemen, Boys and Girls, Welcome to The Rocket To Luna! The Rocket To Luna is a work of revelation that has been currently in development for the past four years. It is a work in motion. I am currently working on two scripts. The Legend of Luna and The Illusion of Gaia. The Legacy is an introduction to The Legend of Luna. The Rocket to Luna and both scripts are for World Peace. Having much hope, The Rocket To Luna has come to be. For every problem there is a solution and now is the time for a solution. In over one-hundred years from now, everyone who is living on this planet will pass away. War will not solve anything. It will only cause more suffering for everyone and future generations. What's most important now is the future of our children, so they may play in a world without war. Ignorance leads to fear and As Yoda said, "Fear is the path to the dark side. Fear leads to anger. Anger leads to hate. Hate leads to suffering." It's freedom for everyone, or it's freedom for no one! The Legend of Luna is about God's cosmic war against evil. Ignorance has a stronghold and suffering continually persists in the world. The son of Jeshua is born on Earth, sent from the heavens above to establish God's Kingdom on Earth as a brave new world of peace and perfect harmony and to fight the greatest and final battle of the aeon of Good versus Evil. Armageddon. Maria, a virtuous woman, is visited by the archangel St. Gabriel to inform her that she will bear birth to the promised savior. Narcaster, the false prophet and antichrist, is informed of the birth of The Lamb of God and sets out to destroy the promised Messiah due to fear. As Maria wails aloud in pain giving birth, Narcaster arrives to take out the newborn child's life. Narcaster is then stopped, the newborn child is taken to a safe area, and Maria flees to safety where she will be fed a thousand two hundred and threescore days. Narcaster and Jezebel (woman of Narcaster) deceive majority of the world and stir up fear that the Antichrist is born. Narcaster, proclaiming himself to be Christ, deceives the world for his selfish needs and his Glory, defying the Glory of God, uses the power of ignorance (evil), religion, and fear, and pursuades millions of people to fight for, what he proclaims, is righteous and for the greater good of all mankind, when actually, are really fighting to grow Narcaster's evil empire and new world order. Day by day, evil forces and the power of ignorance grow stronger. The promised Messiah, Judah Christ, holds the key (the Pure Dharma) of enlightenment that will save all beings from misery and suffering. The greatest and final battle of Good versus Evil is only moments away. The script is a prequel/sequel based on The Rocket To Luna. The Angel on Ice Toast and all the symbols on this homepage are significant pieces of The Legend of Luna. The Illusion of Gaia is about the universe and this world. It should not be taken word for word, but from a spiritual and philisophical perspective. Below is a little introduction. Throughout the universe exists an everlasting light. It is the deepest most internal light that shines eternally and the mother of all creation. The light has no past and no future, only the Now, thus having no beginning or end. Darkness exists because of the light, and the light exists because of darkness. From this light, comes a real force (energy). So strong, it eliminates darkness. Darkness too is everlasting. Without darkness, exists no light. As darkness leaps to infinite, so does the light. To maintain perfect harmony in the universe, the light must be no more greater than the darkness and darkness no more greater than the light. The circle, as The Light, has no beginning or no end. The two points are used as examples. Light travels at a constant rate infinitely. For light to get from point A to point B, it travels at 299,792,458 metres per second (the speed of light.) Through light travel, there is time, through time there is change, and with change, there is beginning and there is end. Thus, only within the light there is beginning and end, the past and the future. Since the deepest most internal everlasting light has no past and no future, and only the Now, this light is what we know as Nirvana. It is the source of all positive energy. Love. In the Shambhala Dictionary of Taoism we read that yin and yang are "two polar energies that, by they fluctuation and interaction, are the cause of the universe". (p. 216). Yin and yang are usually held in balance; as one increases, the other decreases. However, imbalances can occur. There are four possible imbalances: Excess yin, excess yang, yin deficiency, and yang deficiency. Though it may seem light and darkness ends, it does not. When dividing one by infinite, the number becomes extremely small, but never reaches zero. The root of computer software is made up of 0's and 1's. The universe works the same, thus The Universe is binary and worlds are as if "computer generated". One represents Light and Zero represents Darkness. Our world is only a mere illusion made up of light and darkness (positive and negative energy.) What's only real is the mind. This is just a rough introduction and summary. Much is still in the works. Please feel free to click around this homepage. There are links to subpages throughout this site. Since this is a work in motion, you will be seeing images and links appearing and dissapearing over time and will be getting deeper and deeper. 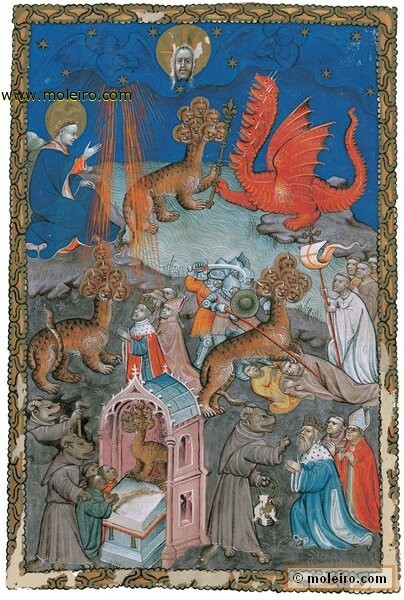 Evil (The Seven Headed Dragon) can only be defeated by Truth, Love, Knowledge, and Wisdom. Only the Light can eliminate Darkness. Darkness cannot eliminate darkness, thus violent war cannot stop violent war. I take the Bodhisattva vow and my mission will be that as of Maitreya - Eternal Divine Path. I'm sure this website will stir up much controversy and many questions. Please do contact me about anything so I may clarify in my upcoming blog entries and FAQ. If you are familiar with The Tower of Babel, you may have noticed it on the homepage. According to The Tower of Babel, humanity has lived as one with one language. "And the Lord said, Behold, the people is one, and they have all one language; and this they begin to do: and now nothing will be restrained from them, which they have imagined to do." This one language was not just a language we use to communicate verbally, but a divine language. A language of One universal God. It did not matter if someone's beliefs did not agree with someone else's. There is and was and always will be One universal God. Whether Jewish, Christian, Muslim, Buddhist, Hindi, or any other belief, each major world religion and many more world religions contain divine truth and all sum down to One universal God. Even if you are athiest and do not believe God exists, we all know there is good. We all know what is good and we all know what is evil. We've all witnessed good and evil, whether we witnessed it ourselves, read about it, or heard about it. We know it in our hearts. Many people ask the question, if there is a God, why is there a world of suffering? Can it be so we have a Free Will and this free will of ours is highly respected by God and we are free to do whatever we please, whether good or evil? As I have mentioned earlier, light (good) cannot exist without dark (evil) and vice versa. It is up to us to make this world a better place for us and most important, our future and children. During the era of The Tower of Babel (Babylon), there was a mighty hunter by the name of Nimrod. "Josephus says: Now it was Nimrod who excited them to such an affront and contempt of God. He was the grandson of Ham, the son of Noah, a bold man, and of great strength of hand. He persuaded them not to ascribe it to God, as if it were through his means they were happy, but to believe that it was their own courage which procured that happiness. He also gradually changed the government into tyranny, seeing no other way of turning men from the fear of God, but to bring them into a constant dependence on his power… Now the multitude were very ready to follow the determination of Nimrod, and to esteem it a piece of cowardice to submit to God; and they built a tower, neither sparing any pains, nor being in any degree negligent about the work: and, by reason of the multitude of hands employed in it, it grew very high, sooner than any one could expect; but the thickness of it was so great, and it was so strongly built, that thereby its great height seemed, upon the view, to be less than it really was. It was built of burnt brick, cemented together with mortar, made of bitumen, that it might not be liable to admit water. When God saw that they acted so madly, he did not resolve to destroy them utterly, since they were not grown wiser by the destruction of the former sinners; but he caused a tumult among them, by producing in them diverse languages, and causing that, through the multitude of those languages, they should not be able to understand one another. The place wherein they built the tower is now called Babylon, because of the confusion of that language which they readily understood before; for the Hebrews mean by the word Babel, confusion… "
Man wanted to enter the Gates of Heaven with arrogance. Thus The Lord has Babeled the people, causing disunity. If arrogance has led us to disunity, let us humble ourselves and forgive each other, so we may all unite and live as one again, and The Almighty Allah will guide us all as One. I will be devoting most my time to work towards World Peace, script writing, webpages, philantrophy, music, art, space research, and study. All Angel on Ice Toast sales and all profit of key sales will go for a good cause to help the poor, The making of The Rocket to Luna, The Legend of Luna, The Legend of Luna World Peace foundation, and more, to help pay for bandwidth of streaming the voyage. I will be updating this blog informing everyone where the money is going and how many lives are being saved around the world, as well as photos and videos of children whose lives will go from negative to positive with chance and hope for a brighter future. Below are a few productions a friend and I have released and are still in beta that are in the works. We're currently working on a lot of productions and with the work we get we will be able to earn money and pursue our productions. CampusGrind.com was started in 2003 by a good friend, Wojciech Pirog and I. As technology is moving forward, we would like to replace textbooks with e-textbooks and build a social network for students to share and communicate ideas, studies, and more to students from around the world. Monster Blog Sack is a project released in August 11, 2006. It is a FireFox browser extension to surf around blogs that fit your interest. It is currently in early beta stages. The purpose of this toolbar is for anyone from around the world to surf blogs that members "Sack." "Sacking" is like a rating system. The more good information and quality, the better the sacks, the more members stumble across the blog. There is much planned for future development of the website and toolbar, such as surfing blogs with fresh blog entries. The Music Hutch has been developed during production of The Rocket To Luna. Much more still planned for future development as well as many more ideas. Polski Domek is a social network currently in Polish and featuring the country Poland. More countries are coming soon, with social networking translation tools. The Five Million Dollar Rumble is a LIVE game show and a website that will feature games for prizes. I came up with this idea to fund Soma Studio's websites, and most important to fund the Moon Rover to make this project happen. I've placed a link at the top navigation so anyone can view promoter's websites by clicking this link. If you are a website owner looking for a great deal to gain more exposure to your website, you may purchase "RUMBLE" spots for as low as $100. The money we make from The Rumble 5 will be going towards building The Rocket to Luna Moon Rover. The moon rover will cost us around $1,000,000 to build. Many more productions in the works. I will be updating this blog regularly. If you have any sort of questions, please contact me or post at The Rocket To Luna World Discussion Board. This is a big learning experience for me, as I am sure it is for many, so if you are knowledgeable about anything pertaining to this site, please do not hesitate to contact me. I am open-minded to any ideas. I hope you will enjoy The Rocket To Luna. A three day mission of an Angel on Ice Toast and 144,000 webpages flying to the moon. Uploaded by the_trailer. - Classic TV and last night's shows, online. Posted by Gregory Rzeczko @ 5:00 AM EST.